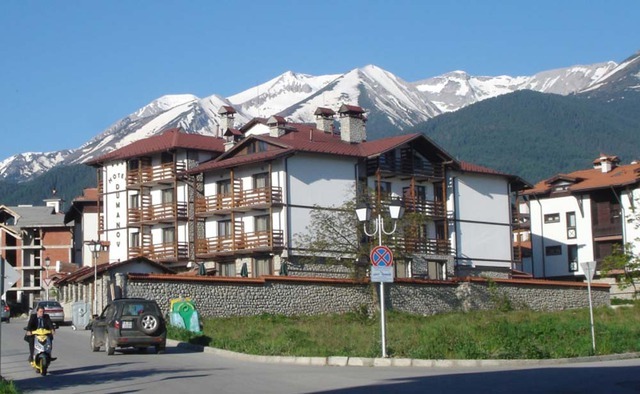 Most ski hotels in Bulgaria's top ski resorts offer a wide range of treatments to revive your tired and tender muscles, replenish your energy levels and leave you looking and feeling on top of the world. Bulgaria is one of the richest lands of spas and wellness spots in Europe. With its more than 800 mineral springs with different curative characteristics, the country disposes with some of the best spa resorts, hotel complexes and spa centres in Europe. The modern, spa and beauty centres offer luxurious and indulging spa treatments for body and soul, which make everybody feel at home. Relaxed, healthy and full of energy...close to nature, close to your real self...feel the spa magic now an visit the richest spa land in Europe - natural and virgin Bulgaria! Most hotels in Bulgaria's top ski resorts offer a wide range of treatments to revive your tired and tender muscles, replenish your energy levels and leave you looking and feeling on top of the world. We also suggest several spa rituals to keep the body and soul of all skiers in perfect shape. Morning: We can help you ease away aches and pains from previous day’s activities, warming up your muscles in preparation for the day ahead, we can even stretch your muscles while you lie back and relax. Afternoon: An ideal time for those wanting to relax and indulge when the chalet is peaceful, giving you time to enjoy a couple of hours of tranquillity after your treatment before the hordes return from the slopes. Evening: After a hard day on the mountain a massage can help to reduce stiffness and replenish energy levels, helping you relax and unwind. You can choose a wide range of massage treatments, facial treatments, body therapy, spa manicure and pedicure. Combine the outdoor activities with quiet personal pampering. Relieve muscle aches with an hour on the massage table or take a day off from the slopes for the full body treatment. Spa time is ideal for visitors who aren't into sliding and gliding.